I have always had the intention to post fun things to do in my "Travel" section. I mean, I did design my blog to have a section for those posts, but I haven't utilized it...until now. 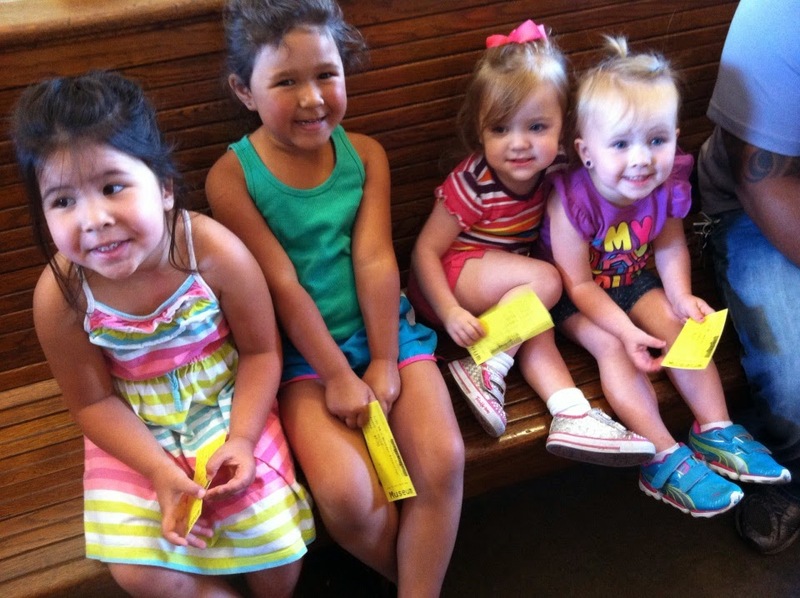 So to kick off my summer 2014 adventure blog posts I will start with the first field-trip I took my daycare kiddos on this summer. 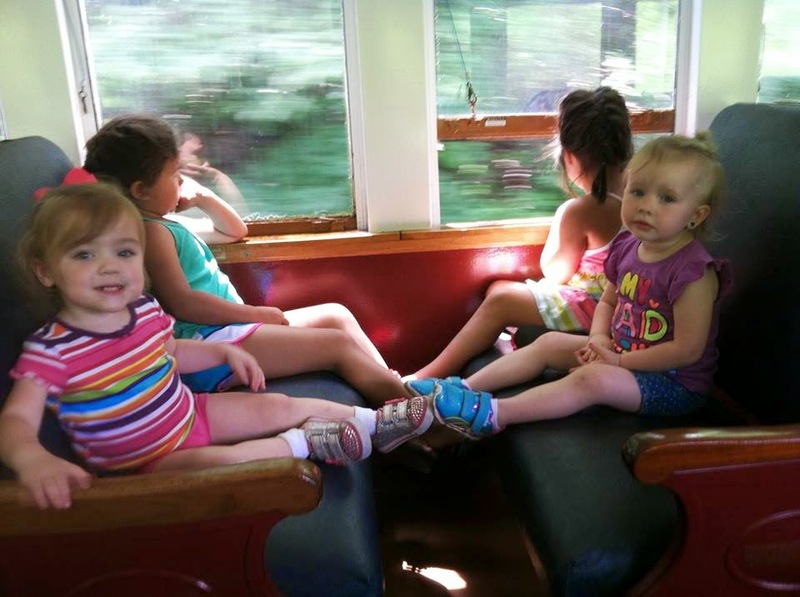 We spent the afternoon at the Boone & Scenic Valley Railroad riding the train. 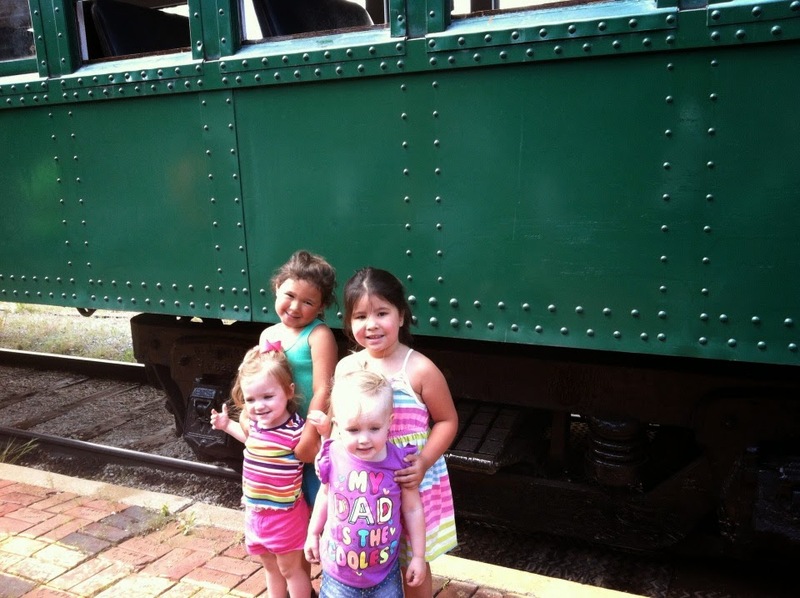 If you have a kid, then the odds are that they find trains fascinating. I mean, they are huge things that move super fast and they have that awesome whistle. What isn't to enjoy about that? 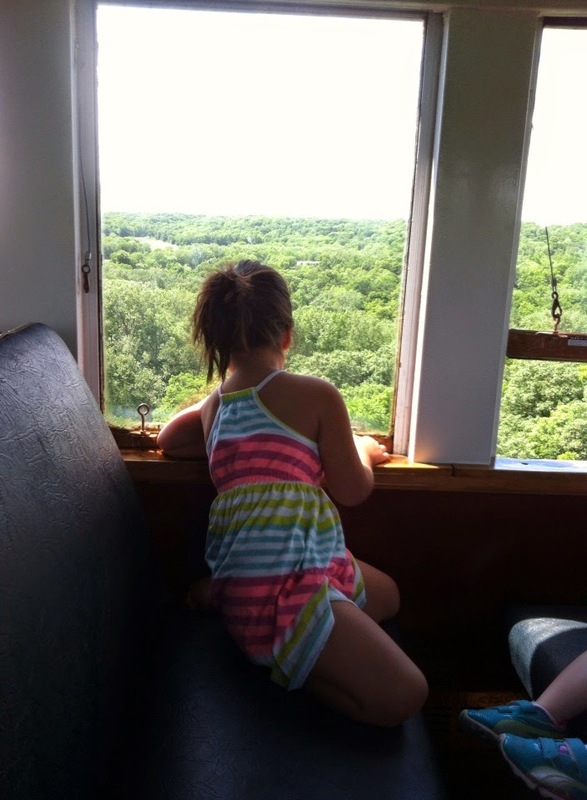 Boone is an old train town just west of Ames and they provide multiple train rides at various times throughout the day. They have the basic excursion, which is what we went on this time with the kids; but there are also dessert and dinner trains. My husband and I took my Grandpa on the dinner train for his 81st birthday, I believe it was. Grandpa was a huge train buff...steam engines were his thing! He worked on M & St L many moons ago, and was an avid train watcher. 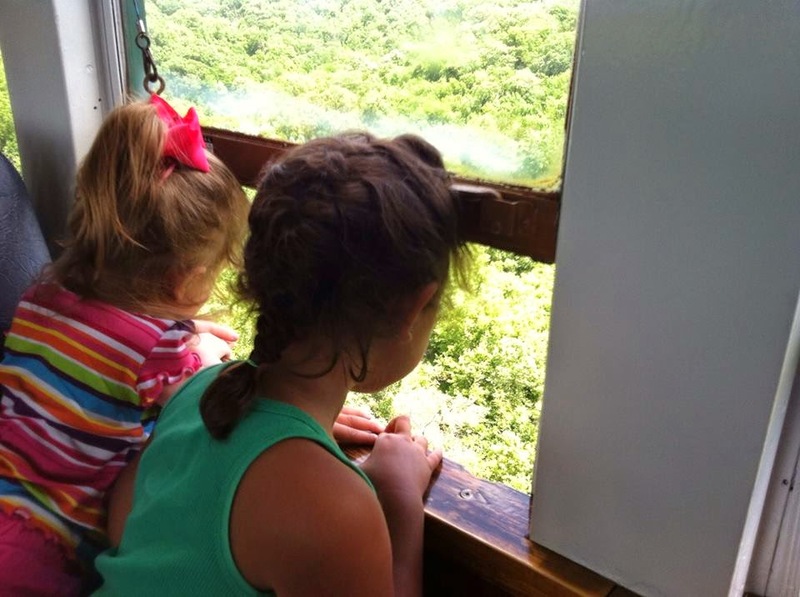 The dinner train is definitely worth it if you have someone special who enjoys all things trains. I don't have any pictures that I can find :( but we were able to sit in a private room, which is original to the train (think early 1900's train style). It was just a fun evening! I highly recommend it! The hubs and I got them all pumped up about the riding the choo-choo train so they were so excited to actually see the train. It does go over the Des Moines River Bridge as well, which is fun to watch the river run beside the train and then cross over. The trip is narrated by a volunteer...which all the people that work for the train are volunteers. This I think is pretty amazing. It is nice to have people volunteer their time for something fun that is preserving the past. There is a museum back at the train station that you can pay to visit without going on a train ride, or it is included in your admission when riding a train. Of course there is a gift shop, which if you visit I highly suggest picking up a copy of the book Kate Shelley and the Midnight Express which is an amazing true story of a fifteen-year-old girl that risked her life to stop incoming trains from passing over a bridge during a horrible storm that a train wreck just happened upon. When you are leaving town, you might also swing out by the bridge just to see how amazing her feat was. I wouldn't have ever climbed that bridge, let alone during a horrible storm!! 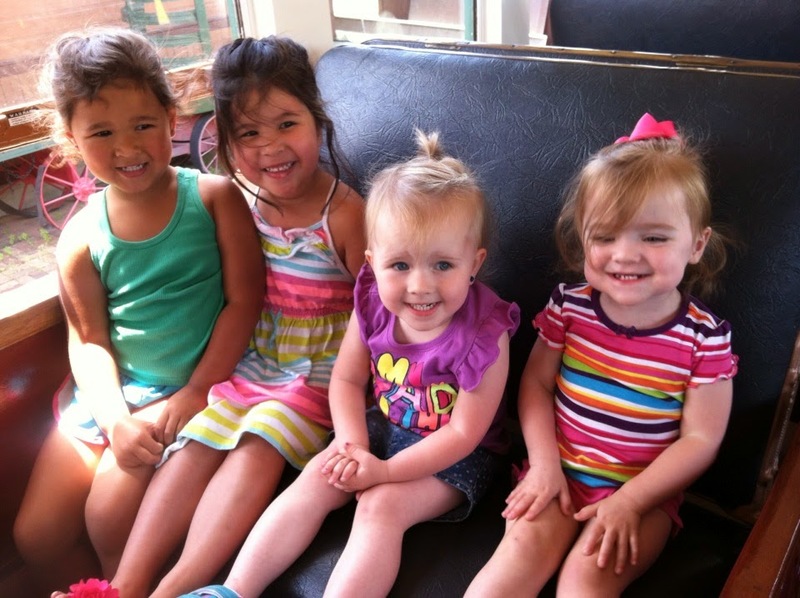 Overall the train ride is fun for everyone! During the summer there many different options like I mentioned earlier. The dessert, dinner, and even a picnic train. There are also several seating options available. Check out their website to see what best fits your schedule! In the early fall Thomas the Train makes an appearance, so young fans are bound to love that day! There is also a pumpkin train during the fall that you can take out to the pumpkin patch and pick a pumpkin. Talk about more fun than just going to the farm! For adults, it is pricier...$20 a person. I kept reminding myself that the station runs off of volunteers and donations to justify the price. However, when we got there and saw the smiles on the kid's faces - it was totally worth the money!